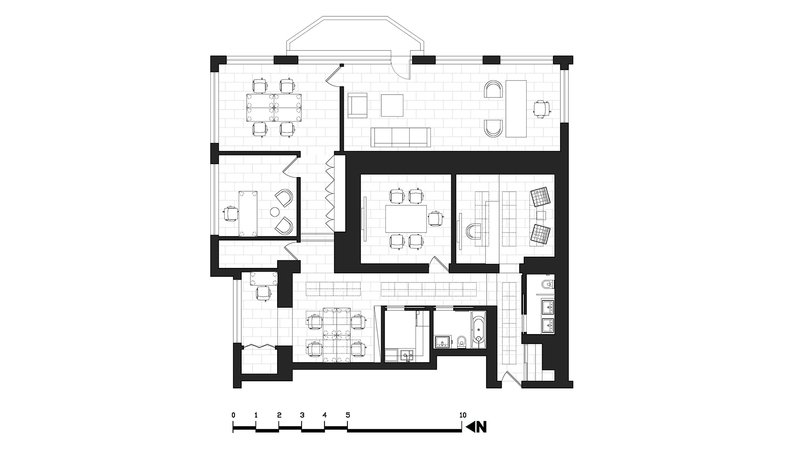 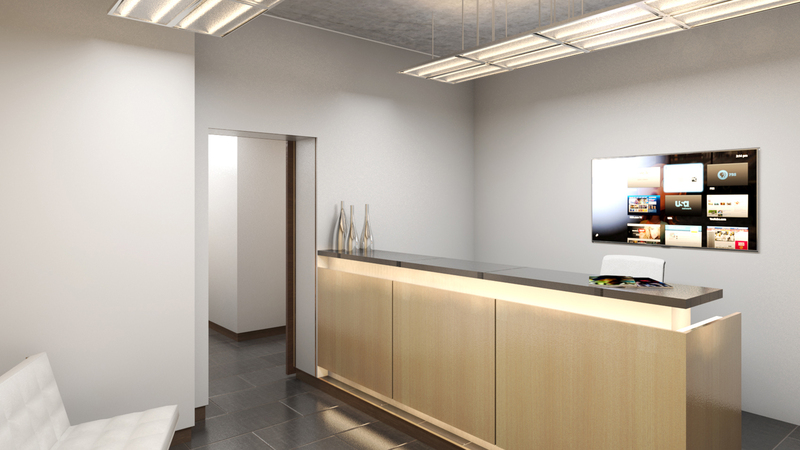 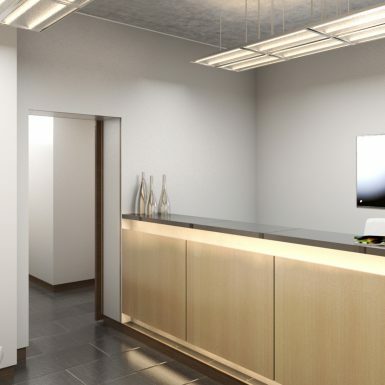 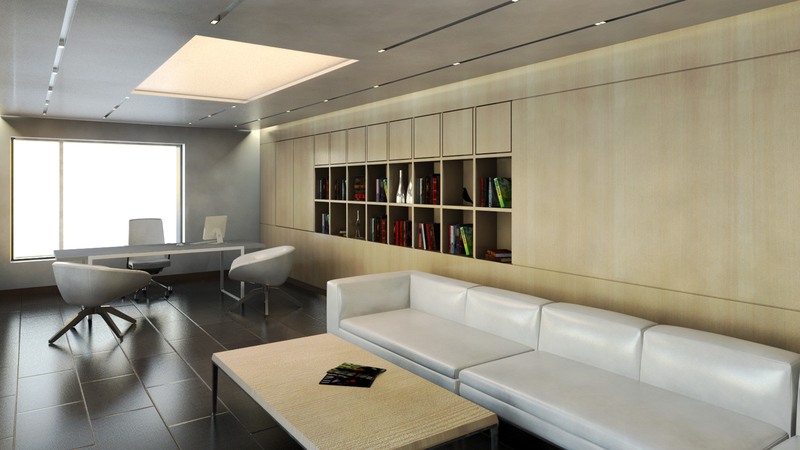 JFA was asked to generate a concept design for a small legal office in Kiev that was to occupy the penthouse space of a residential building located at the river front. 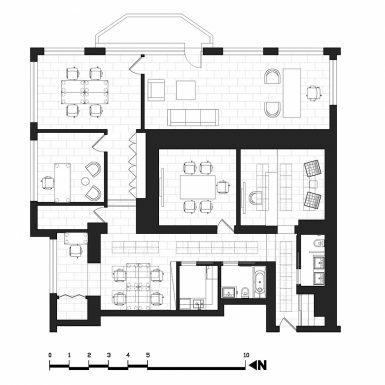 Given the buildings overall residential use, many elements in the space (such as columns and concrete walls) were fixed on the plan. 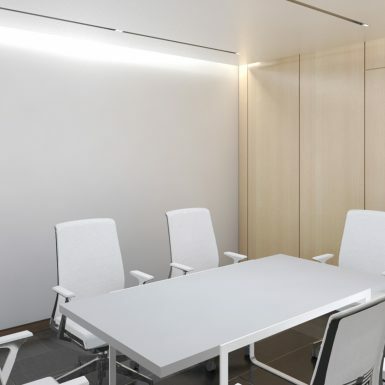 As a result, through very minor intervention, JFA proposed to reorganize the space around a centrally located conference room that was to be used by the whole office. 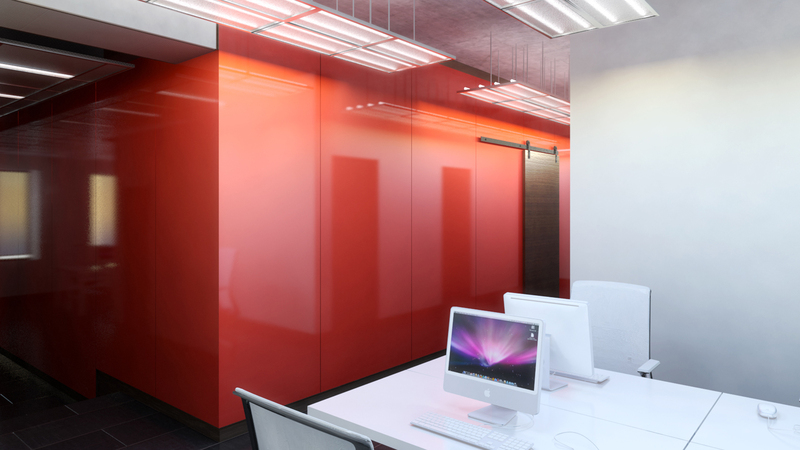 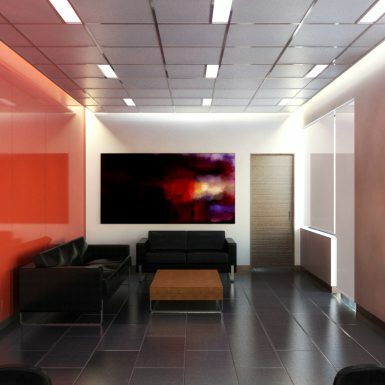 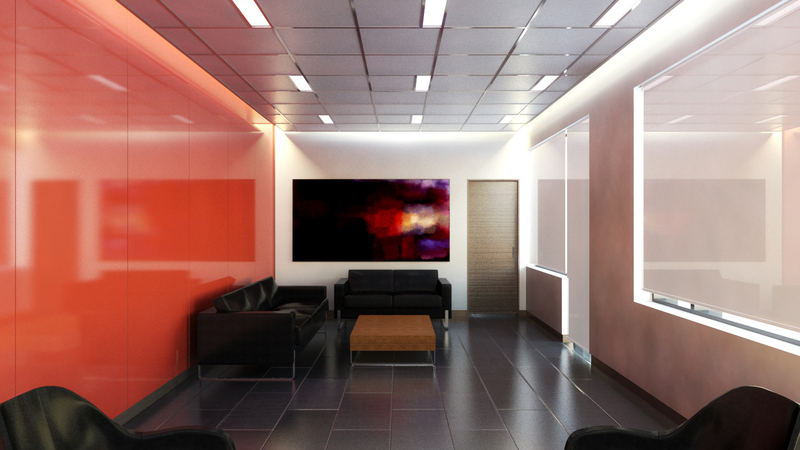 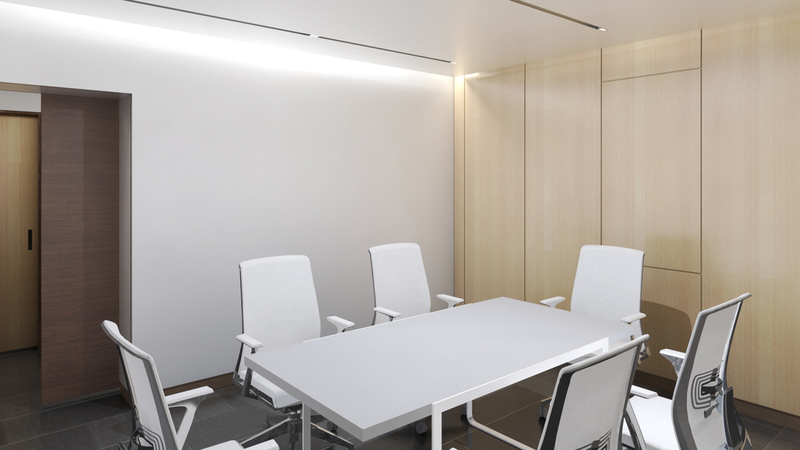 In addition JFA sheathed the conference room in a lacquered material to denote it as an object in the space and provide the law office with a brand identity.